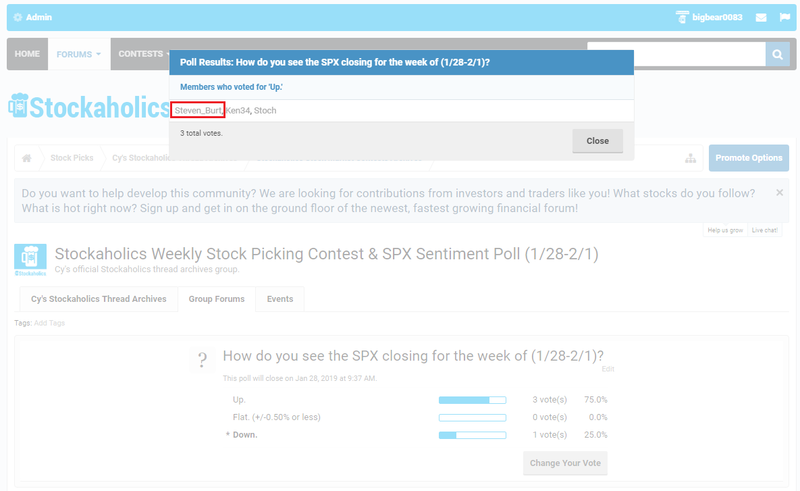 How do you see the SPX closing for the week of (1/28-2/1)? Congrats to @emmett kelly the Stockaholics Weekly Contest Winner for the Week of (1/21-1/25)! On to the next! 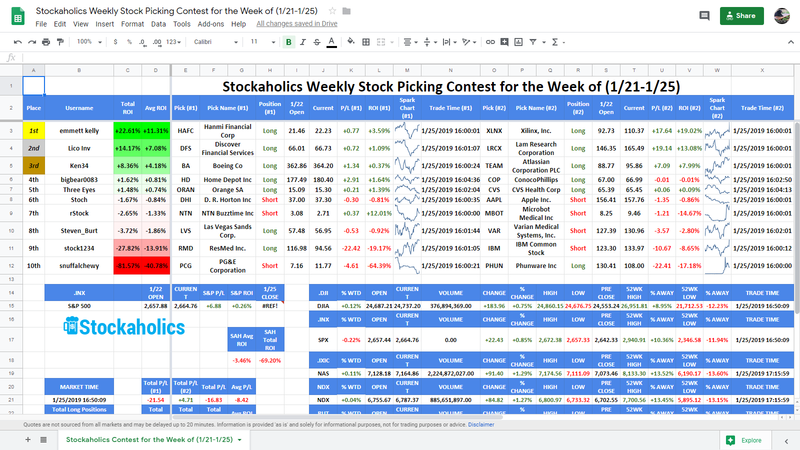 The Stockaholics Weekly Stock Picking Contest for the Week of (1/28-2/1) starts at the opening bell on Monday, January 28th, 2019. Remember...the contest starts at the opening bell on Monday, January 28th! 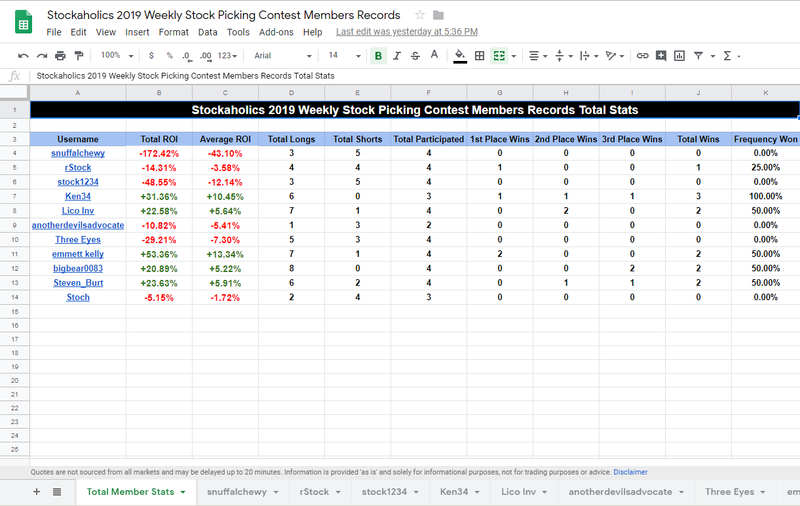 Stockaholics wins the weekly poll tally this week! Credit goes to the FLAT/DOWN votes! 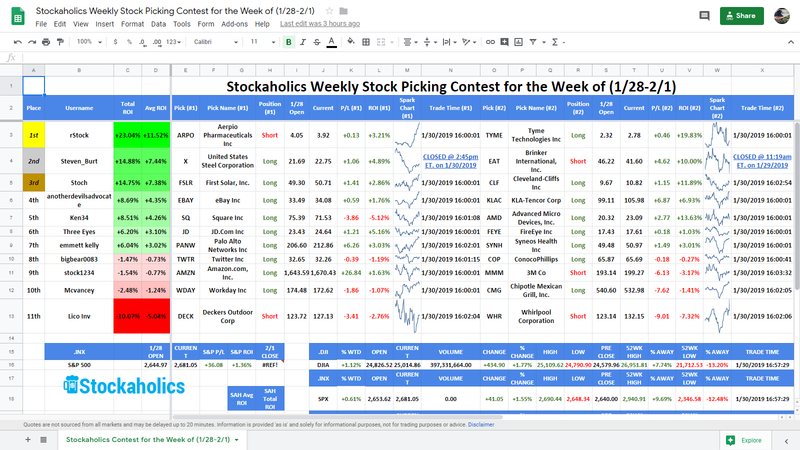 Congratulations to this week's contest winner and 2nd time winner of the weekly stock contest in 2019 (2nd time winner in Q1!) -- @emmett kelly! Some worthy mentions also go out to our 2nd place winner -- @Lico Inv and 3rd place winner -- @Ken34! Credit also goes out to the following members who voted DOWN in the poll! Longest active weekly poll winning streak belongs to @Lico Inv with 4 straight correct weekly market calls. 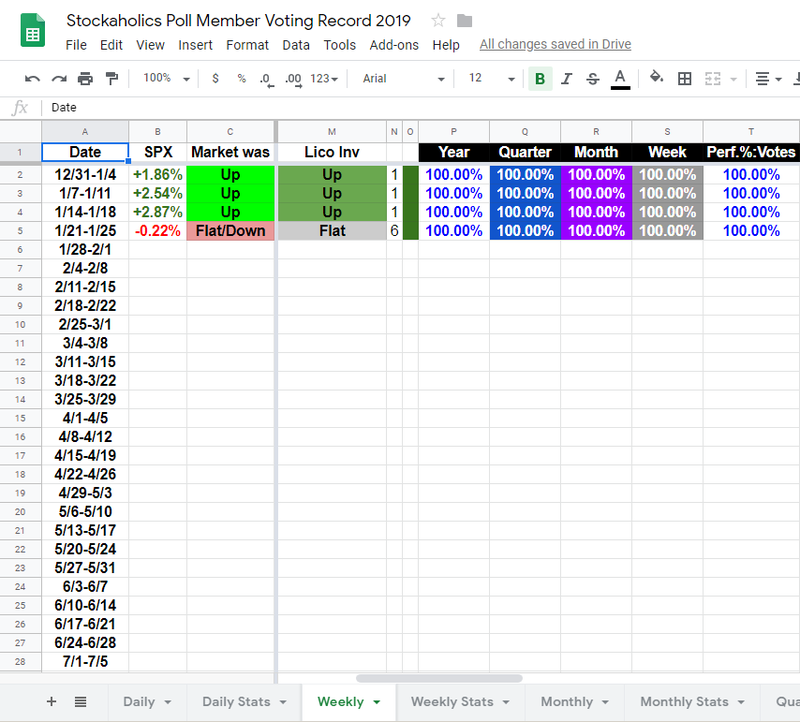 Best overall weekly poll percentage leader for the year belongs to @Lico Inv at 100.00% weekly poll voting accuracy in 2019. Best overall weekly poll percentage leader for the quarter belongs to @Lico Inv at 100.00% weekly poll voting accuracy this quarter. Most consecutive correct weekly market calls in 2019 belongs to @Lico Inv with 4 correct calls (still active). 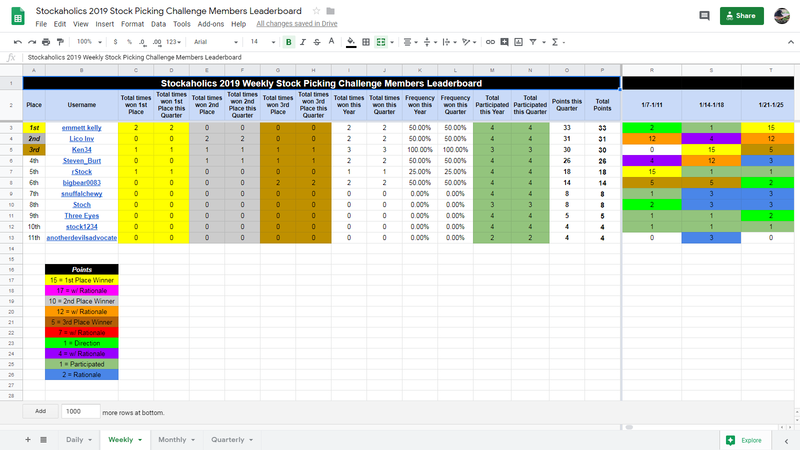 @Lico Inv is our current leaders this quarter with 29 points! Some notable mentions goes out to @Lico Inv who is still perfect on the year for weekly market direction calls! Very nice! 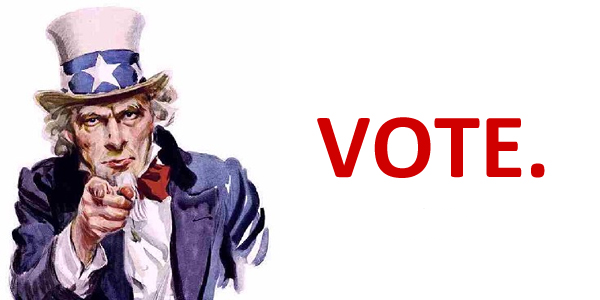 Just a quick heads up you guys, but I'm still noticing some of you not "posting" market direction votes on the threads. The reason why I need everyone to have them also posted to the threads here (aside from the fact they get bumped to the top) is because it makes it much easier and less time consuming for me when I go to grade the scores at the end of the trading day/week. I just simply check the threads to see who voted what and can simply give credit that way. I'll just post this one who I see didn't post their vote to the thread here in case they didn't get a chance to see this post by Monday. Welcome to the Stockaholics contests @Mcvancey! I've just added your name to the Google Forms username drop downs, so in the future you don't have to select "New User". 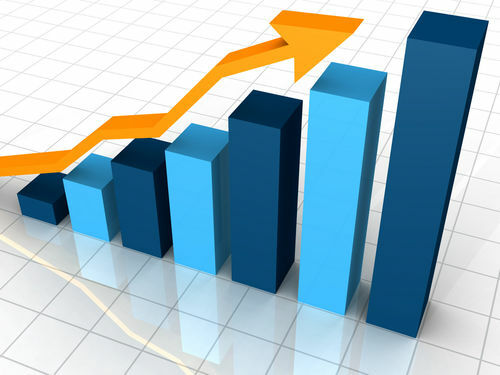 Since you are new here, I'll just have your weekly market direction posted for you this week. Anyway, great to have you join us! Please Close EAT 41.60 11:19 ET - Thanks! Please Close X 22.75 @ 2:45 ET - Thanks!